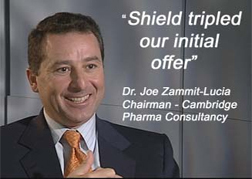 Cambridge Pharma had 110 staff with offices in Cambridge and New York. 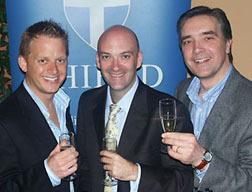 "Hiring Shield was probably one of the best decisions we ever made. Having built a business for thirteen years, in the last three months we managed to triple its value", Dr. Joe Zammit-Lucia, Founder, Former President and CEO. Two businessmen, who started their IT company in a garage after leaving college in the late 80s, sold their business to a national accountancy software group for an undisclosed sum.